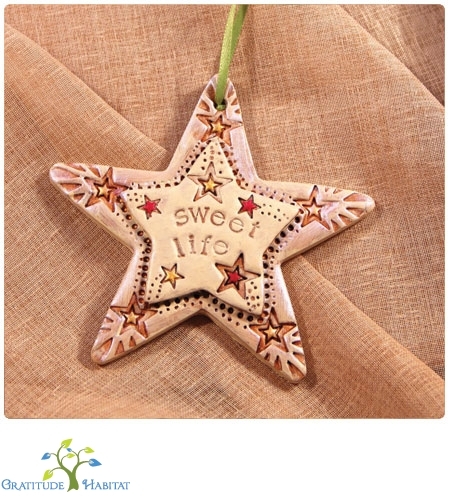 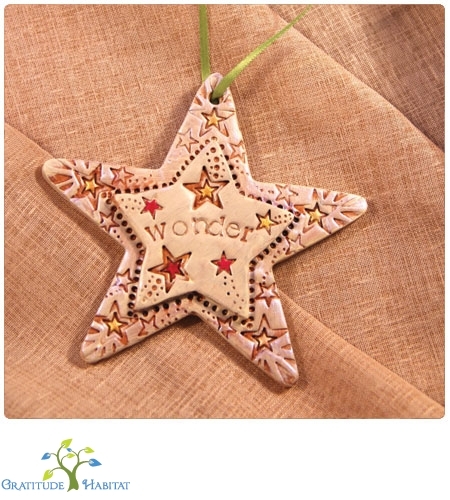 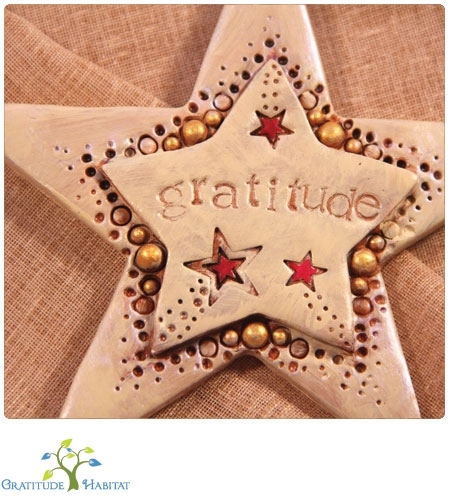 Fill your holidays and each day thereafter with gratitude, wonder and the sweet life with these handcrafted star decorations. 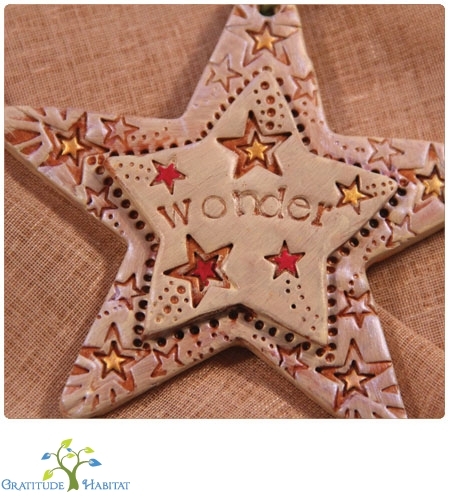 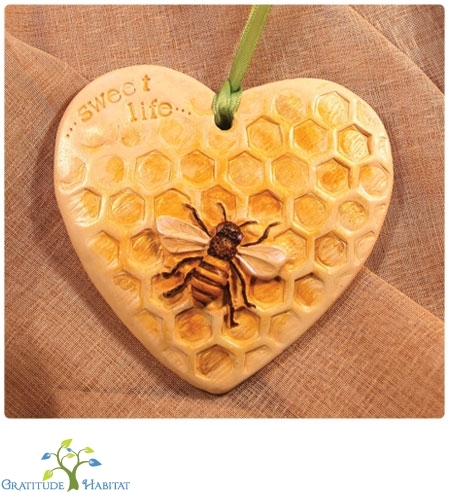 Painted in subtle yet rich, light-reflecting tones, the hand-stamped designs are all slightly unique and will be a shining reminder to appreciate the wonder of life. 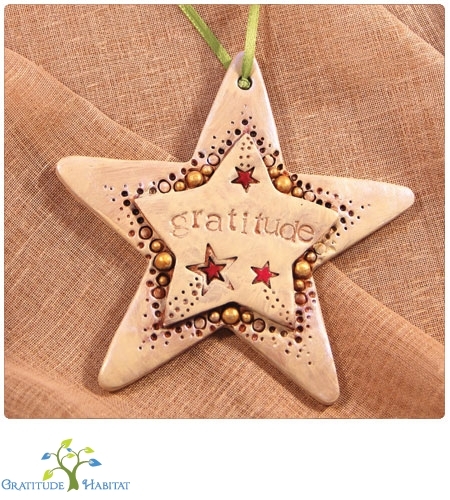 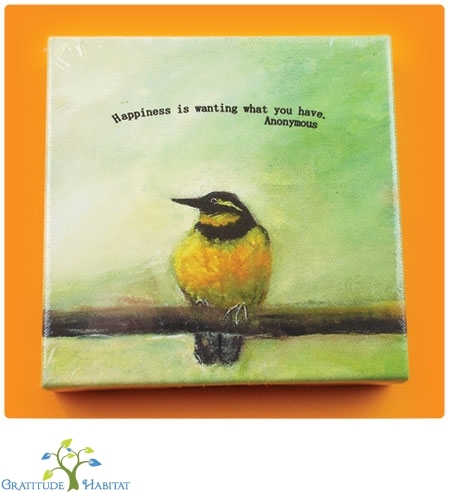 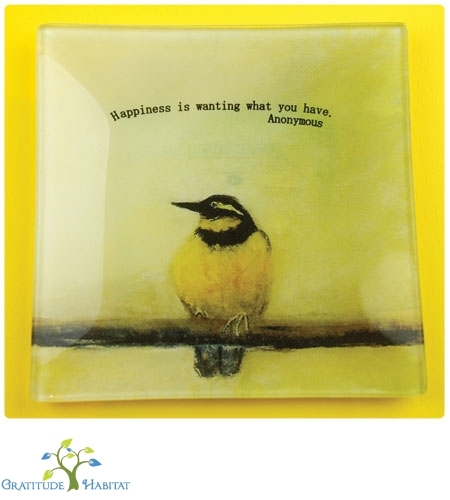 Exclusive to Gratitude Habitat. 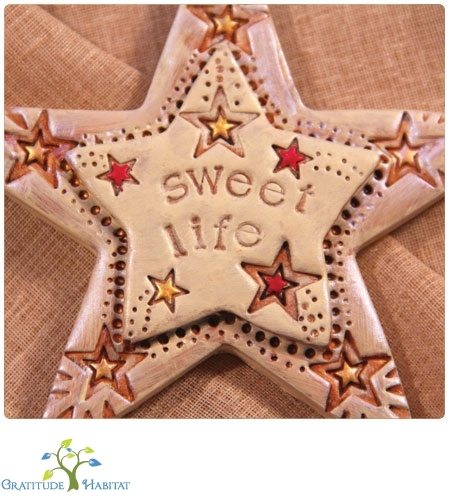 Stars can be customized with a special name or phrase for a small additional fee.